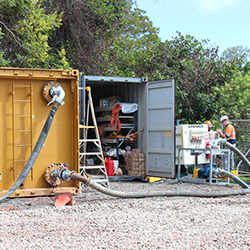 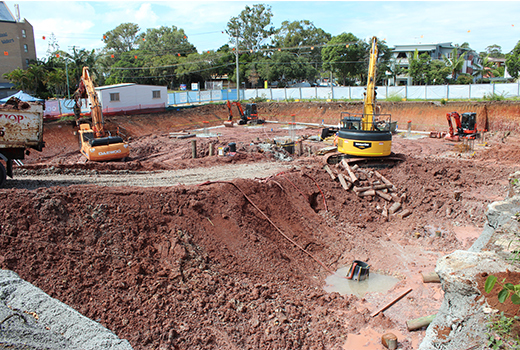 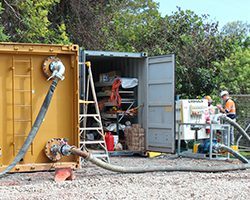 Hutchinson Builders contracted NPE to design, install, monitor and de-mobe the site dewatering package for their construction project in Brisbanes bayside suburb of Cleveland. 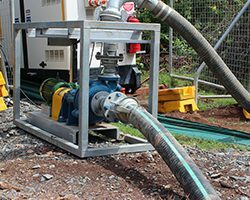 With tight environmental controls in place to protect the nearby waterways, Hutchinson Builders needed a specialist pump hire and dewatering contractor such as NPE to take care of site water issues. 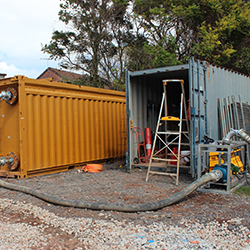 NPE installed a system that was relocatable, rugged and ticked all the boxes with regards to water treatment and discharge. 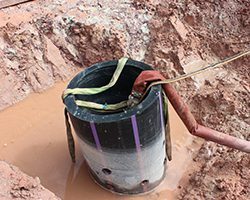 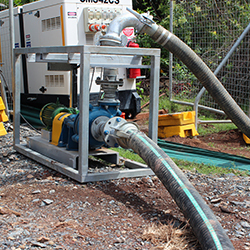 A water treatment system and transfer pump ensures that all the water collected from site by NPE submersible hire pumps meet environmental standards. 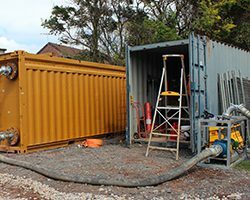 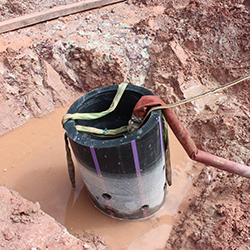 Design, Supply, install and de-mobe a dewatering package to pump and treat site water during construction.